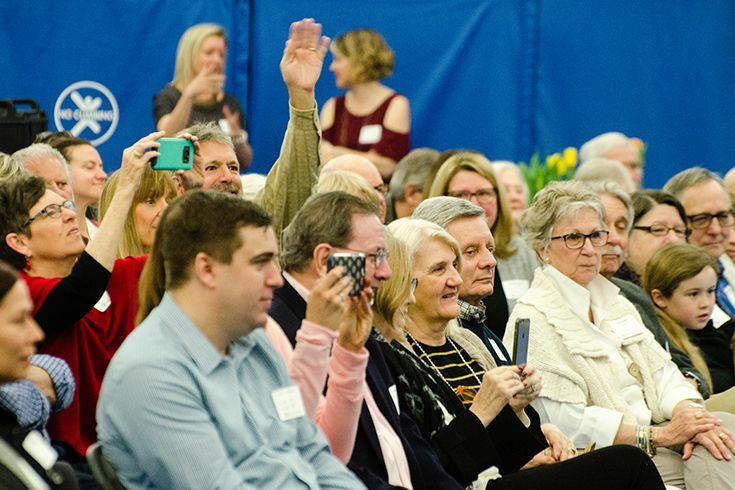 Every year we welcome hundreds of grandparents, family members, and friends to our school to share the Severn experience with the students in their lives. Students eagerly guide their grandfriends around campus, introduce them to their teachers, and share a bit of what life at Severn is like from day to day. We are grateful to our grandfriends for investing the time and resources necessary to visit and most of all, for taking an active part in shaping what it means to be an Admiral for every student. On Friday, March 30, we welcomed grandfriends to our Lower School for a morning of performances, tours, and classroom visits. Our preschool through fifth grade students spread smiles, laughter and love, as they confidently performed in front of an audience of over 300. Over 300 grandparents and friends attended the Lower School Grandfriends' Day. The show included a challenging repertoire from the preschool's performance of "I Wanna Be a Dog" to a sneak preview of the 4th and 5th grade Renaissance Drama spring production of Madagascar with "I Like to Move It!" Marleigh '31 shares arts and crafts in the preschool classroom! Through age appropriate activities, grandparents participated in lessons and activities that teach students how to think, how to collaborate effectively, how to engage with others, and how to take on meaningful challenges and learn from their mistakes. 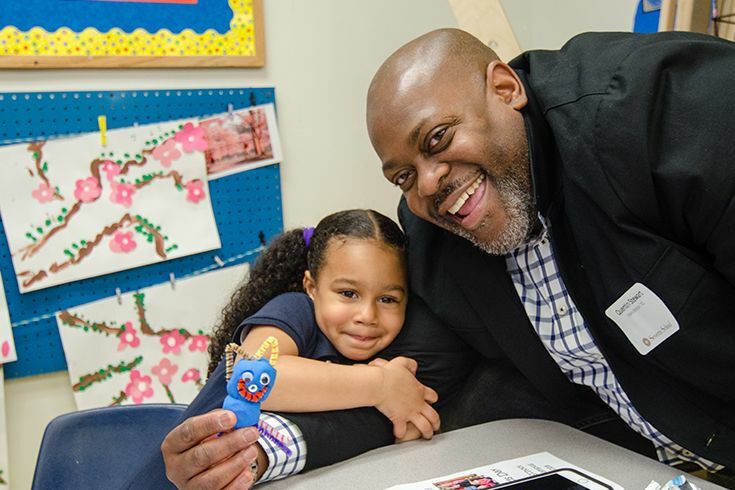 Whether you worked on a classroom activity, made necklaces in preschool, or explored the school on a scavenger hunt, your presence and connection make our community stronger. 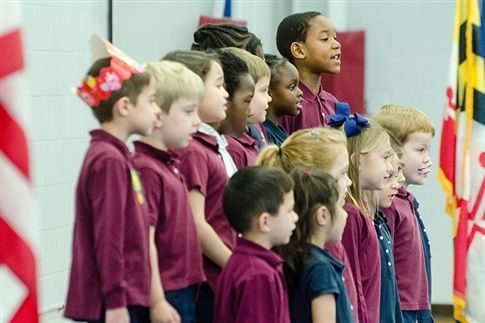 In November, we welcomed grandfriends to our Teel Campus for classroom visits and a special assembly. Grandfriends are always ready to participate in hands-on classroom activities – just watch this fun clip of the abuelas in Ms. Longway's Spanish class! Mr. Julian Domenech Sr. shares reflections of Severn during the 2017 Founder's Day Assembly. 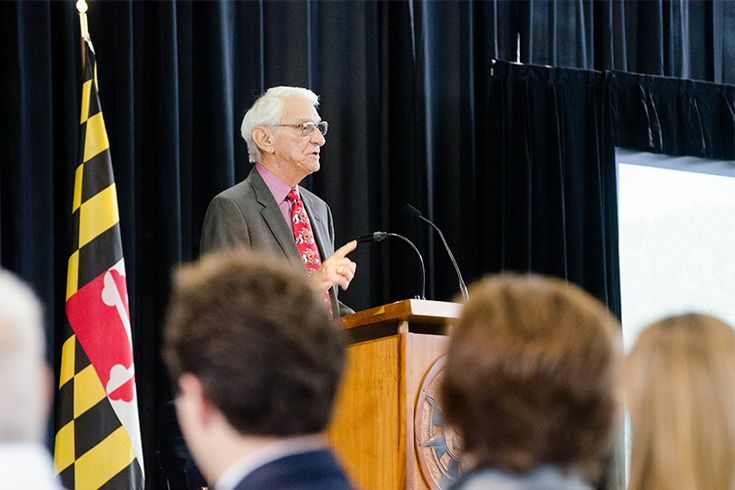 Our Grandfriends’ Day on the Teel Campus concluded with a special Founder’s Day Assembly, celebrating Severn School’s history over 100 years in the making including reflections of Severn by beloved current grandparent and past Severn faculty member, Mr. Julian Domenech Sr. Fun fact: For the 2017-2018 school year, there are 10 Alumni from the classes of 1954-1974 who are grandparents of current students! Do you have a favorite memory from the day, made possible by one of our many incredible, hard-working faculty members? Show how much you appreciate the experience your grandchild is having at Severn by making a tax-deductible gift to the Severn Annual Fund in honor of his or her teacher (or teachers). Make a gift online or give us a call at 410-647-7701 ext. 2232. Thank you so much for visiting and investing in your grandchildren – see you next year! Click here for more photos from Grandfriends' Day! Severn Lower School students perform for Grandfriends' Day.